The Doctor Who Christmas Specials have always been a hot topic amongst fans and often leaves opinions divided. This year however, it looks like it’s going to be fun and frolics. The BBC have just released the confirmed title for the Christmas Special plus a new promo image. Last Christmas will air on Christmas day and is written by Steven Moffat while directing duties go to Paul Wilmshurst. 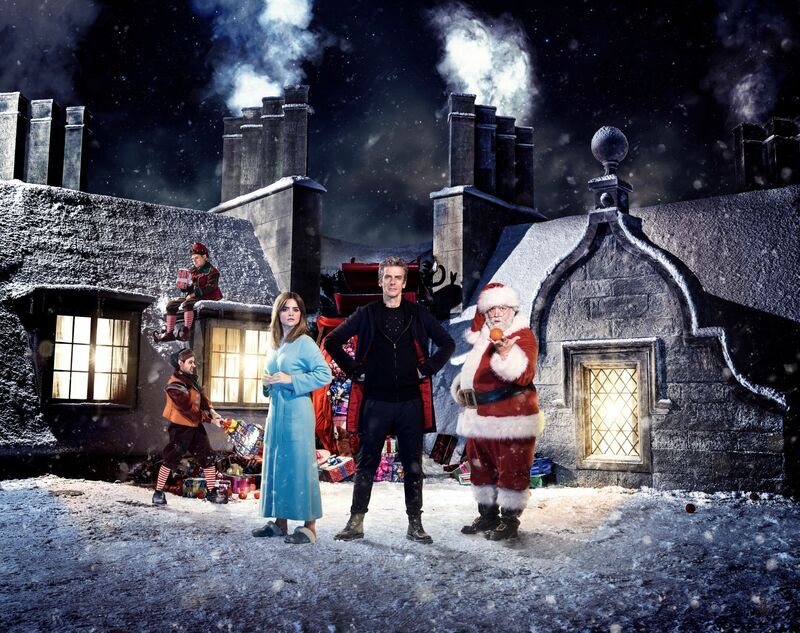 Along with the title the BBC have also released a new image featuring Peter Capaldi as The Doctor, Jenna Coleman as Clara and Nick Frost as Santa Claus. Also featured is Dan Starky as Ian and Nathan McMullen as Wolf, two of Santa’s helpers. This year’s Crimbo special is looking more like a fun romp rather than a dark thriller. Are you looking forward to it? Let us know in the comments below.